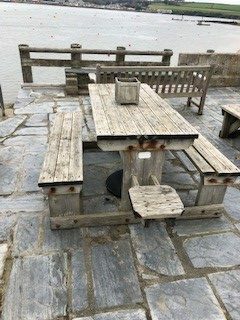 We have just ordered seven new picnic tables for the quay. They should be in place by Easter. Unlike the previous wooden ones, these will be made out of recycled plastic manufactured in the UK. No splinters; Long life; Resistant to oils, alkalis, acids and seawater; Maintenance-free; No upkeep costs; Made from high-quality upgraded recycled plastics; Resistant to vandalism. Those of you who don’t get out much, might like to know that at about 120 kg they each weigh the equivalent of over 20,000 average supermarket plastic bags, are unlikely to blow away in a storm, or be eaten by a whale. 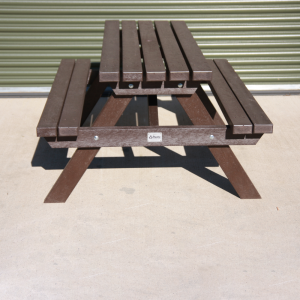 The three existing wooden picnic tables are still serviceable, so should anyone like to make a reasonable offer (say £100 each as a donation?) they would be happy to find a new home. If you are interested, contact the club manager.